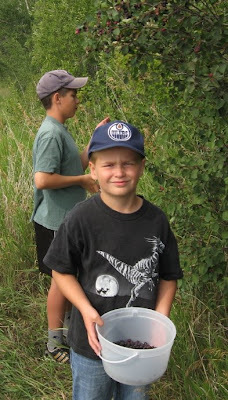 Today me and my two boys picked Saskatoon berries. 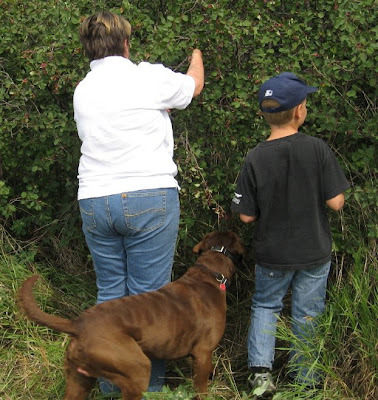 I am planning to make some berry pies later in the week but we needed to pick them. 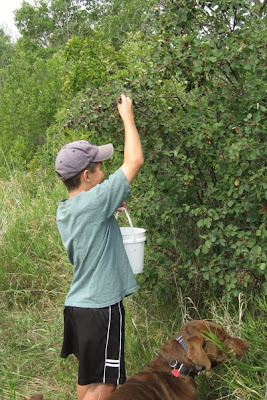 I will have to make peach pie as one boy does not like Saskatoons and I still wanted his help. So our trade is "If he picked enough berries for a Saskatoons Pie I would make him a peach pie." I have to buy the peaches. 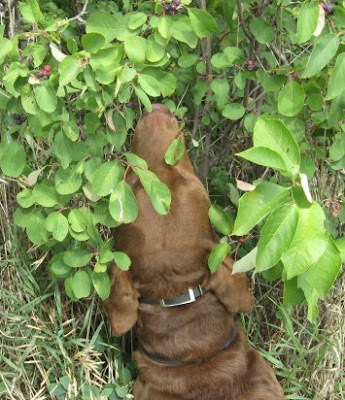 Our dog the Chesapeake Bay Retriever found out just how good the berries are. Here he is nibbling off berries. He first tried to take from our buckets but did not have any luck with us. I think this is Chessy style. He also ripped down on small tree from the truck just to get the berries up higher. 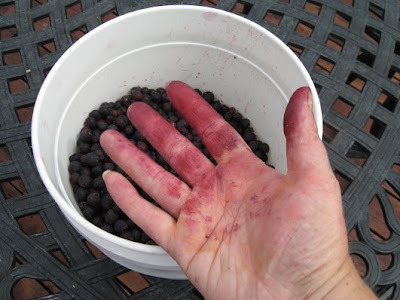 A good start to a bucket of berries. 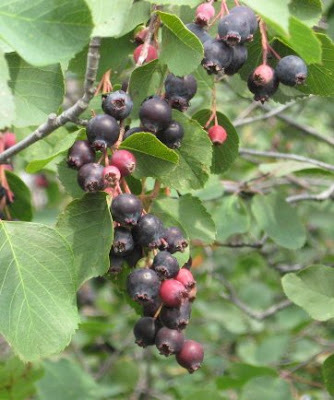 Saskatoons are a native berry to the western prairies. I know my grandmother picked and made many berry pies. Some make Wine or Jam but we like the pies the best. Look at these purple hand. It will take a day or two for the purple to wash away.